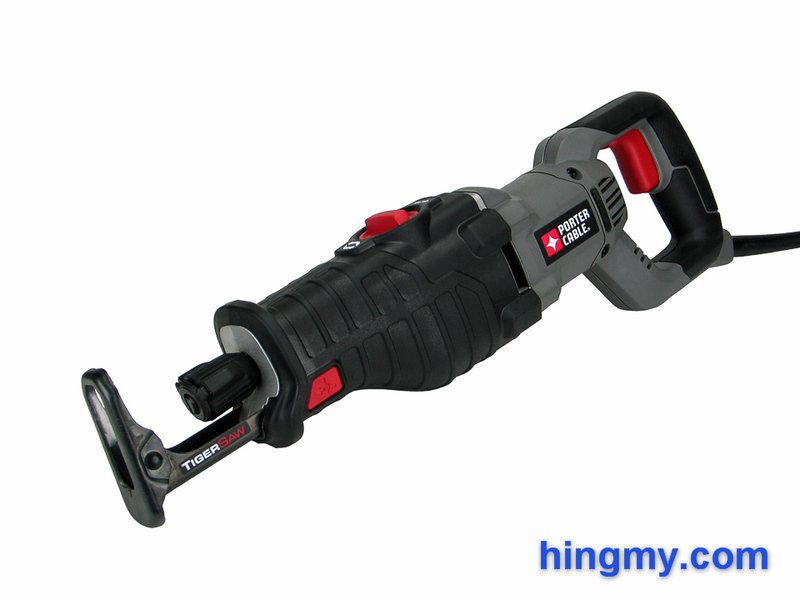 For this week's review I got a hold of a Porter Cable Tiger Saw, the PR85TRSOK. This saw beckons potential buyers with its low price from the shelves of home centers around the US. I bought one so you don't have to. Let's take a look at what the Tiger Saw can do in the Hingmy workshop. The PR85TRSOK, or Tiger Saw, is a general purpose recip saw from Porter Cable. Lighter and less powerful than a full-size demolition saw, this reciprocating saw is fully capable on a per-cut basis, but falls behind its larger competition when used continuously. The body of the Tiger Saw is built to professional standards. There are no lose seams on the monolithic body. Nothing rattles during use. 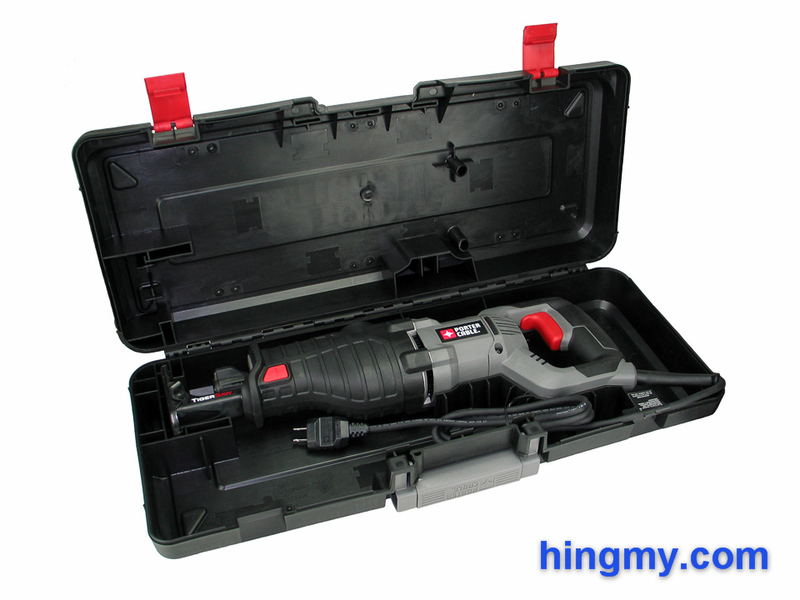 The entire font half of the tool is wrapped in black rubber providing ample grip surface for the operator to hold the tool whichever way is most comfortable. Accessing the motor brushes requires disassembly of the entire stock of the tool. The Tiger Saw is a capable saw that vibrates too much to be useable for more than an hour at a time. The 8 1/2 amp motor draw and 3,200 rpm motor speed place the Tiger Saw firmly in the middle of the performance spectrum. Heavy-duty demo saws outperform it, but not necessarily by a wide margin. 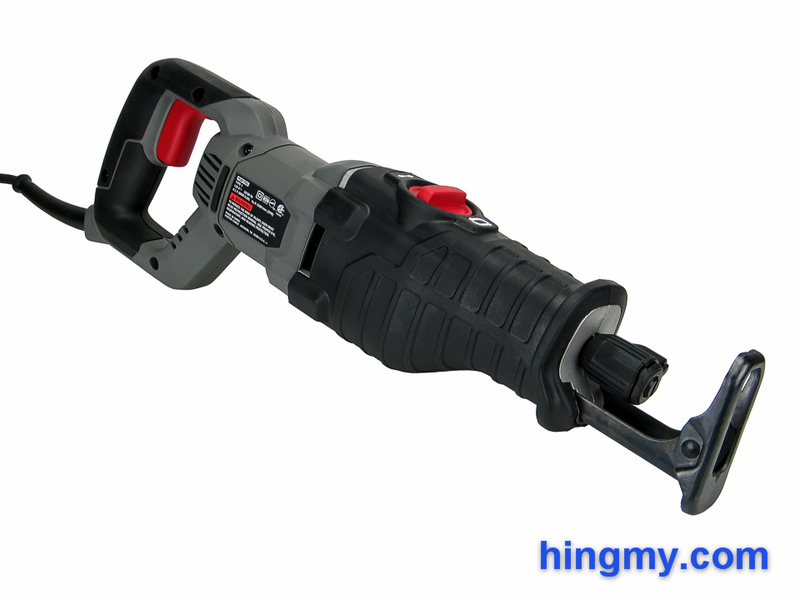 The tool's overall quality level is a step above entry level saws. The trigger is very responsive and precise. Finding and holding a specific motor speed takes little effort. The mode selector dial on the top of the tool feels a little mushy, but works well enough. Most user will keep the saw perpetually set in orbital mode anyways. The chuck is particularly well made. Its rubber covered metal body has two wings for the user to hold onto. A quick half turn opens the chuck and ejects the blade mounted in it. A spring returns the chuck to its locked position after a new blade has been installed. There is virtually no blade deflection side-to-side when the chuck is closed, which makes this chuck one of the best I have ever reviewed. The blade can only be installed vertically. The chuck does not rotate. The metal shoe of the saw is adjustable. It moves in and out and locks in place in 3 positions, each about 3/8 of and inch apart. This is a useful feature when cutting small stock like pipes. Moving the shoe a half inch exposes fresh teeth on the blade. The front face of shoe pivots ~30 degrees to help the saw find purchase on whatever it is cutting. The PR85TRSOK is a fully capable recip saw on a per-cut basis. It will complete any cut you ask of it at a speed just a bit slower than the largest recip saws on the market. It chews through framing lumber and plywood without putting a considerable load on the motor. Long blades and dense materials expose the limits of the mid-size motor. The operator must lower the feed rate to protect the motor from overloading. The saw's nose is too light to hold the saw steady without a guiding hand on the fore grip. Some downward pressure on the nose accelerates the cut. The orbital mode works well. It significantly improves cutting speed in all materials. The thick shaft and sturdy chuck show no signs of premature wear in our tests. The motor and casing heat up during heavy use casting doubt over the saw's longevity under heavy load. The Tiger Saw's main flaw, however, is noticeable whenever the motor comes to life. The saw vibrates excessively at all motor speeds. Keeping the saw under control for an accurate cut is not an issue, operator fatigue on long projects is. The Tiger Saw is a saw best used for a few cuts at a time. Carpenters, electricians, and homeowners can make good use of the saw without ever getting hurt by it. A worker on a demolition crew will be sore after working with the saw for an hour. Long term usesigns you up for a sick day in the none too distant future. The saw comes in a nice hard plastic case. Form fitting protrusions secure the saw inside without any movement. There is no compartment for blades, although there is ample room for one in the case. Tucking the power chord into the case is surprisingly difficult, but ultimately manageable. The plastic latches limit the life to the case, but it'll hold up to professional use for a couple of years. While technically not waterproof, the case will keep light rain out for a while. Impact damage is not an issue. 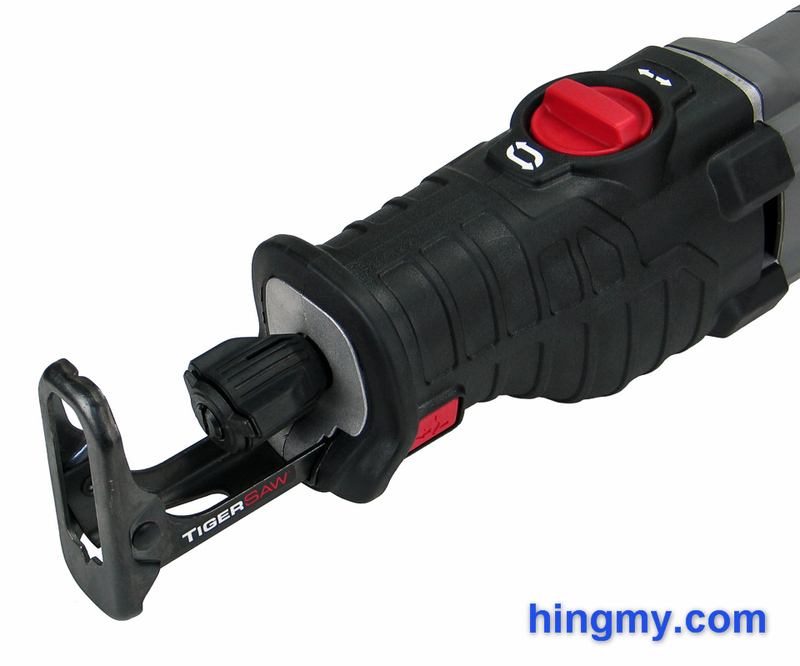 At the low price the PR85TRSOK saw is going for the case is an excellent addition. The PR85TRSOK reciprocating saw is well built and fully capable. It can complete any cut you ask of it at a reasonable speed. Excessive vibrations limit it to small to medium size jobs. Homeowners and other light-duty users get a well engineered saw for very little money. Heavy duty users should look at larger saws, which are engineered to be used all day long without putting the operator's health as risk. 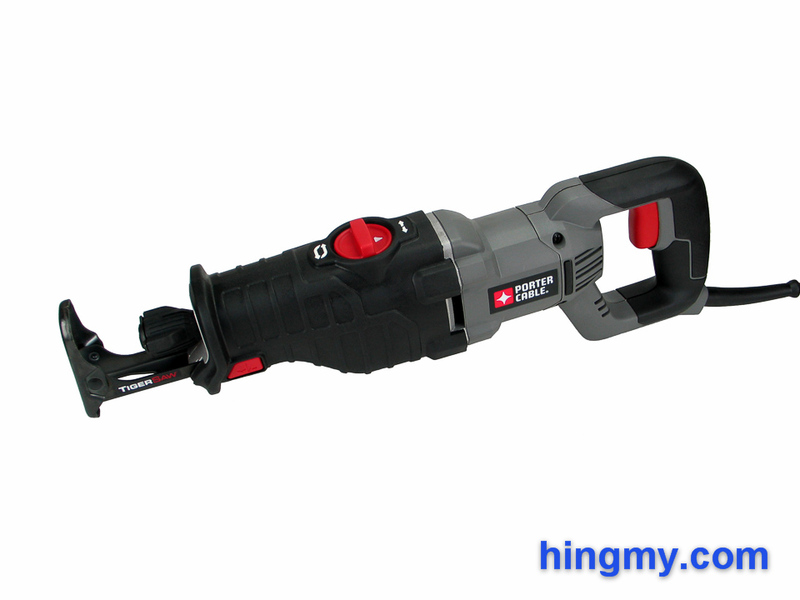 At its low price the PR85TRSOK reciprocating saw can be a great value for the right buyer.